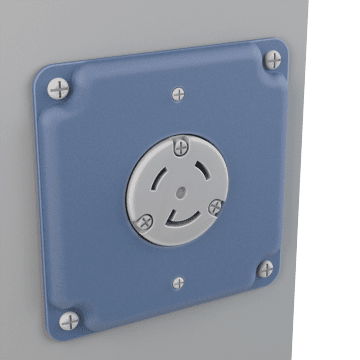 Equipped with round holes, these plates fit power outlets typically used with appliances such as washers, dryers, or kitchen stoves. 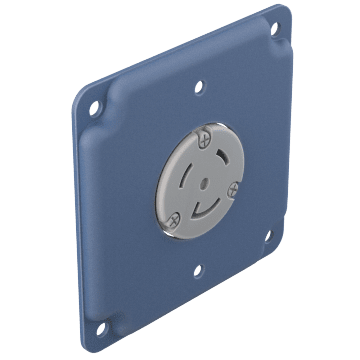 These wall plates fit over electrical box openings to protect components inside. 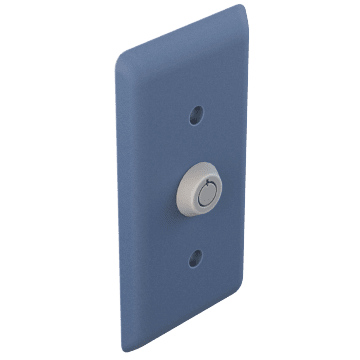 These plates are designed to fit over and protect a barrel locking switch or key lock.